We live in dark times and are witnessing the return of the ultra-right and fascism. To counter the rise of racism and xenophobia, I began thinking about a project that could be an antidote to the toxic culture of hate prevailing all over the world. An exchange programme between Jordan and Durham, UK, seemed a fitting way of challenging preconceptions and creating meaningful dialogue between civilisations, peoples and writers. I was born in Amman and spent the first third of my life there, then I studied and taught at different universities in the UK, but 24 years ago I settled in Durham. It was time to give back to my hometown Amman and to Durham, the city that adopted me, and what better way of doing that than shining a light on the writings of Jordanian authors and poets and their counterparts based in the North East of England. So as a Jordanian/British writer I initiated the exchange programme to give back to both cities, which are part of mental landscape and fiction. So who or what helped you to turn this vision into reality? When almost two years ago I visited the British Institute in Amman, which is part of the Council for British Research in the Levant (CBRL), at their invitation, I really enjoyed meeting the director Dr Carol Palmer, who is both a graduate of Durham University and from the North of England, and the deputy director Dr Philip Proudfoot, who is from Belmont in Durham. It was serendipitous. The premises were excellent, in a beautiful part of Amman, and a writer would find them inspiring. The same applies to St Mary’s College and its idyllic grounds. Then the journey began and here we are. I must thank our sponsors: The Durham Book Festival (New Writing North), The British Institute in Amman, St Mary’s College at Durham University, the British Council, Ms Joan Kenworthy, retired principal of St Mary’s College, and Libyan woman author Najwa Binshatwan, whose financial support made this project possible. Linda, you left Durham and headed to Amman in Jordan. What were your first impressions? Faced with Jordan’s unfamiliar culture, language (written and spoken), landscape and temperature, it took me a week or so to orientate myself. Even the days’ rhythm is strange – the weekend here Friday and Saturday, the working week beginning on Sunday. 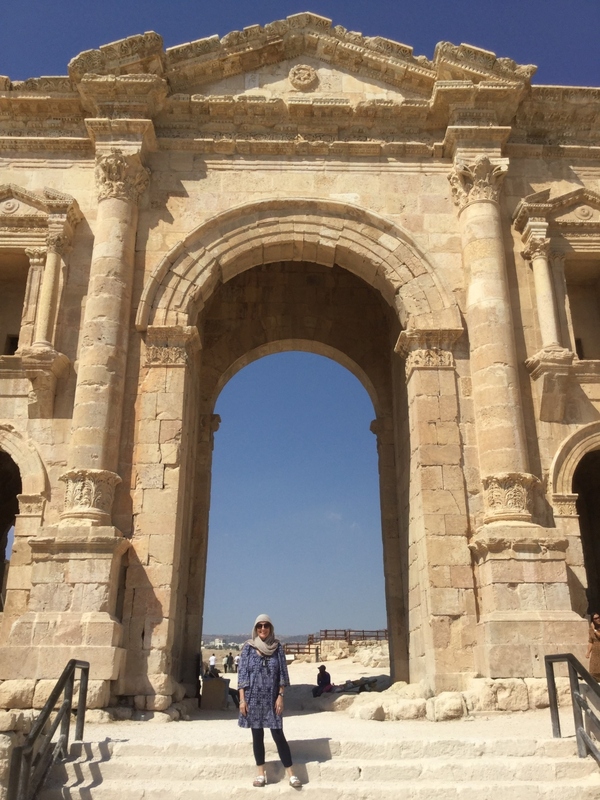 I’m enjoying exploring the layers of history – the prehistoric, Nabatean, Hellenistic, Roman, Byzantine, Ummayad, Abbasid and Ottoman past. And the Islamic present – days and nights punctuated with the mu’adhin’s call to prayer, a welcome reminder to come back inward amid all the sensory impressions drawing you outward. Have you written anything in response yet, or are you just letting the experience wash over you? You’d have to be half-dead not to be inspired by Jordan. I’m taking lots of notes and photographs and already have a couple of early drafts of poems, as well as ideas for other writing projects I’d like to develop. I feel extremely lucky to have been introduced to a whole new continent – one so central to current global dilemmas and so fertile for a writer’s imagination. Mofleh, will this be your first time in Durham? What are you hoping to do during your time here? This might be my first time in Durham, North England, but I have visited the United Kingdom before in 2008 for the London book fair during which Arabs were the guests of honour. I consider my participation in this creative exchange as a part of my book writing project because I am a writer and a researcher with specialisms in spaces, civilizations and mythology. Hence, this is my chance to continue writing about these areas. From another angle, I have looked thoroughly into the deep civilizational ties between Jordan and Northern England. If Hadrian’s wall in the North of Jordan is connected to Hadrian’s wall in Northern England, this may be an umbilical cord for writings, diaries, a journey, and perhaps a story that will permit us to fly between history, reality and legends; a modern fantasy that asks questions about this debatable relationship between two Norths here and there and through different, yet equally important, stations. Perhaps I have knowledge within this context since I have already had a previous experience of a creative retreat in Southern France, excavating that place, I got a glimpse of a collection of short stories entitled “A death whose features I do not know”. Fadia, the Jordanian author Mofleh Al-Adwan will be coming to Durham soon and you’ll be chatting with him and Linda at a Durham Book Festival event on 14th October. What can we expect the three of you to be talking about? All with a panoramic view of this wild and beautiful city [Amman] that seems to make itself up as it goes along – a poet’s city, a city you could fall in love with. I don’t expect less from Jordanian writer Mofleh Aladwan. I am hoping by then he will have a postcard for Durham, this equally beautiful city. Following protocol, I will not be sharing new work. I will introduce Alta’ir, both authors, and facilitate the conversation. Alta’ir is a partnership project between Durham Book Festival/New Writing North, the Council for British Research in the Levant (CBRL), St Mary’s College, Durham University, Dr Fadia Faqir and the British Council. 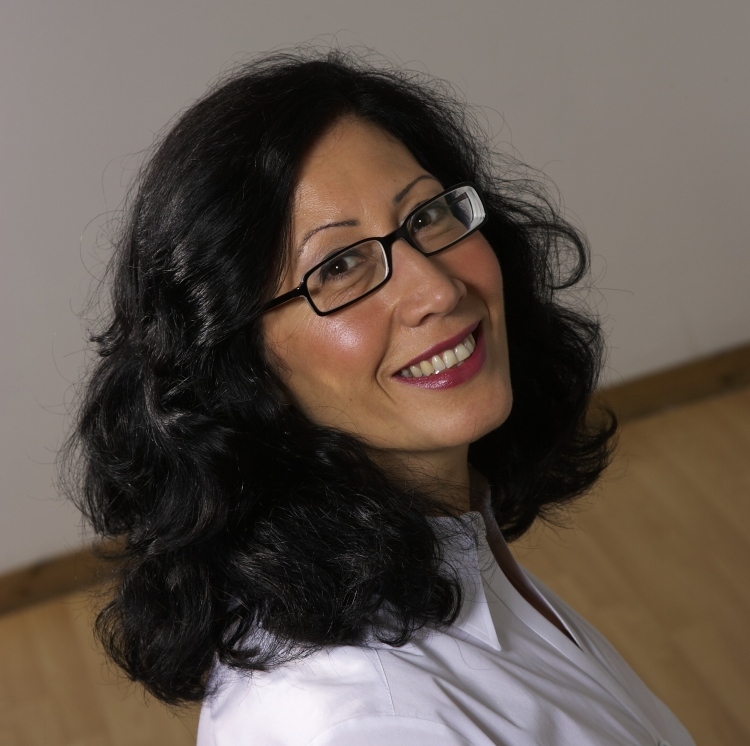 Come and hear more from Fadia, Linda and Mofleh on 14th October as part of Durham Book Festival.